See the KYZEN ANALYST Introduction Video! KYZEN is proud to introduce the world’s first automatic, real-time concentration analytics system designed for all chemistries. Not just a few. 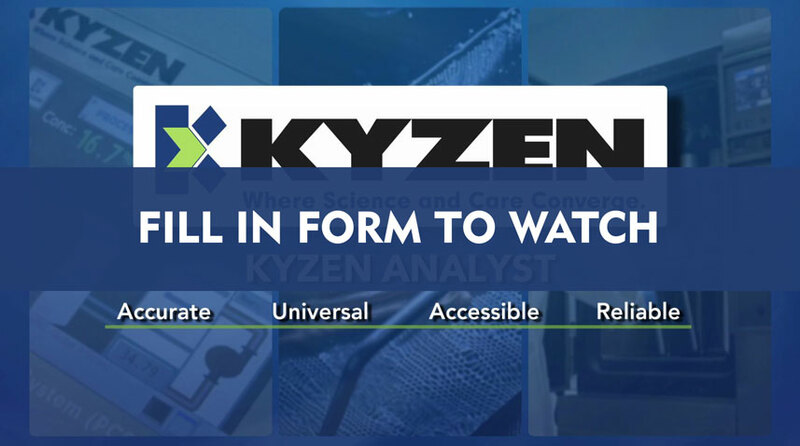 Fill in the form now to watch the KYZEN ANALYST introduction video. In this short, preview video, you will learn how to easily access real-time data from anywhere at anytime, how to make retrieving, logging and charting SPC reports fast and user friendly, and how to save critical time and labor.